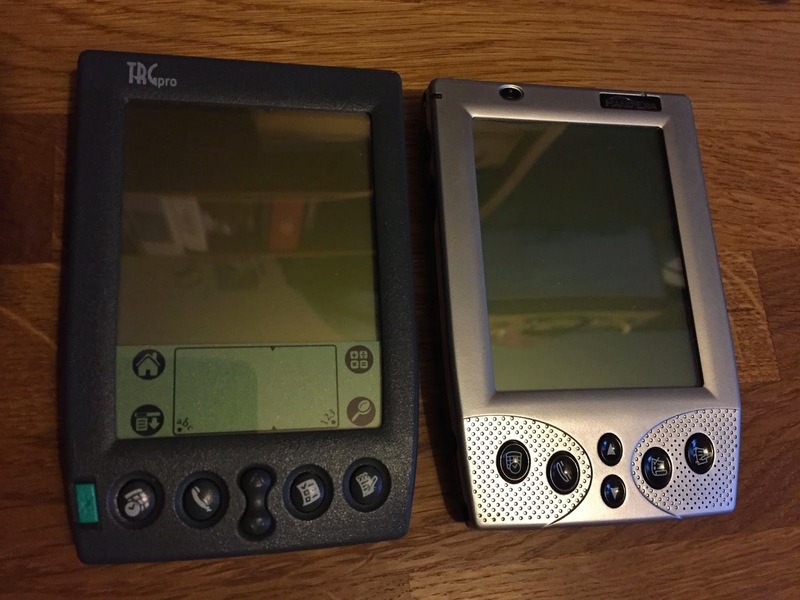 The T series were a real step forward for Palm. The T1 and T2 were ok, but the real star was the T3 which was arguably the best ever device that Palm made. Whilst these are very rare indeed I can't say that I'd be prepared to pay over £200 for one now. It's way to much, but interesting to know that someone has 5 of these on their hands. If you're interested in finding other old Palm stuff on eBay, click here for the Palmorama store. Can you run a business from your phone? I've been doing that for years! I saw a picture on twitter the other day saying "run your business from your phone", and it made me realise that to a greater or lesser extent I've been either doing or trying to do that for years now. Actually for the most part I have been. But even before I had an iPhone I used my old Treo 650 to do a lot of stuff. Get emails. Manage lists and activity. Hold my diary. And of course most importantly, make music! So it started me wondering if I could actually run Palmorama only from a Palm PDA. How far back could I go? Where would the barriers be? I think that it's something worth trying out. To see if it can be done. So my plan is to try and do this using firstly my Treo 650 and the my Handera 330, which is going to be tricky I can tell you. I'll let you know how I get on. Wish me luck! Sony's T415 wasn't a bad device at all although a bit of an entry level machine really. The MS Camera however was impressive in its day and was from a time when manufacturers seemed to like more modular hardware, which I've always been in favour of. The TRG Pro is a real favourite of mine. 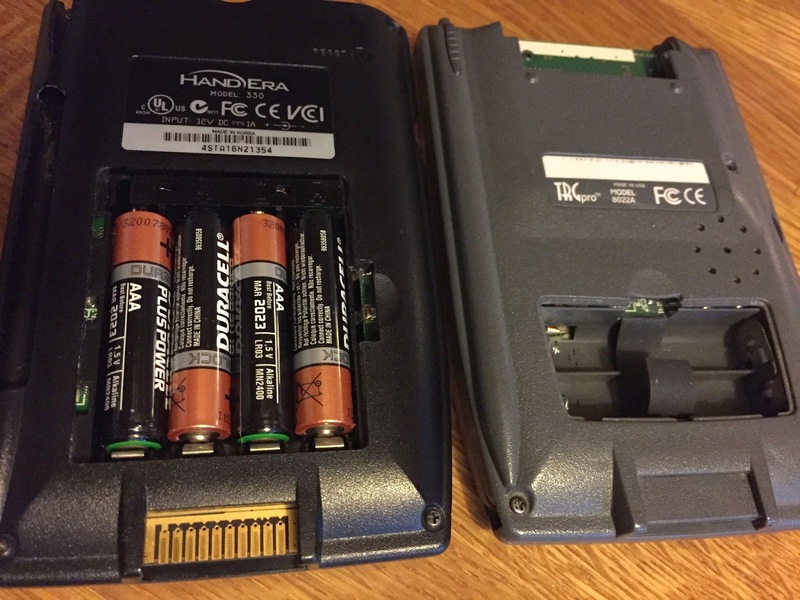 It was the first Palm OS PDA to have a compact flash slot in it, and although it was only an OS 3 or 4 device it still had a lot going for it as, unlike later devices it had a serial connection which was great for MIDI. Now this was a massive deal as it resulted in a whole series of amazing devices from simple starter devices to units that could only be called 'swiss army knives' of the handheld world. Back then anyway. Some of them are still amazing in my opinion. Which was probably a big thing for the whole PDA world back then. I have to admit that I don't know very much about the s10 sadly. The visor series was amazing, mostly because of the modular design that they used with the springboard modules. 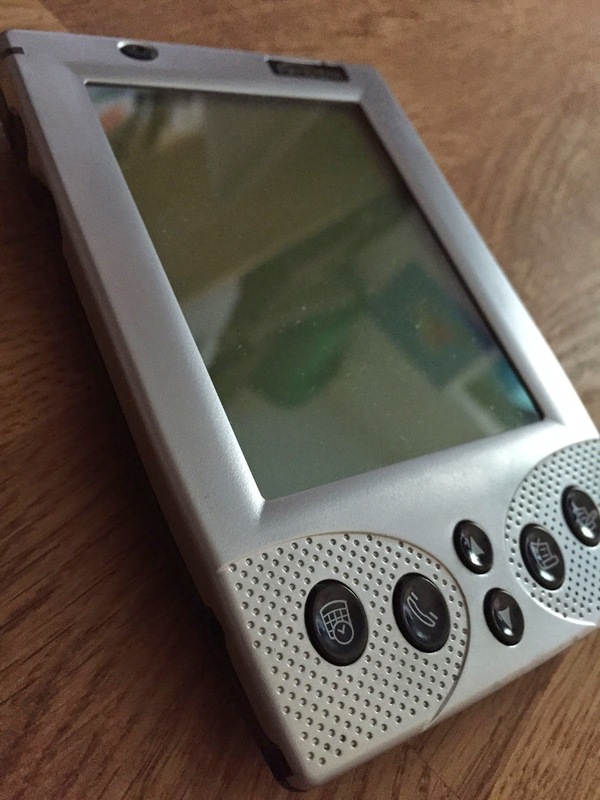 The prism was the first and only colour PDA device from Handspring and the screen is still pretty amazing. Which was a big deal at the time and paved the way for devices like the Treo 600 and my personal favourite the 650 which I still find useful. Of course this was a big deal and the shape of things to come, not that Palm really spotted it until it was a bit late in the day. Which isn't odd given what they've done since, but back then it did seem like a strange decision to take, at least that's what I thought anyway. The release of the TX was a big deal. It was the last of the Tungsten range, and in fact one of the last PDAs that Palm made. It was a very solid machine too. The Z22 on the other hand was another budget machine and one that I personally didn't think too much of really. Another side by side, again the Handera 330 on the left and the TRG Pro on the right. 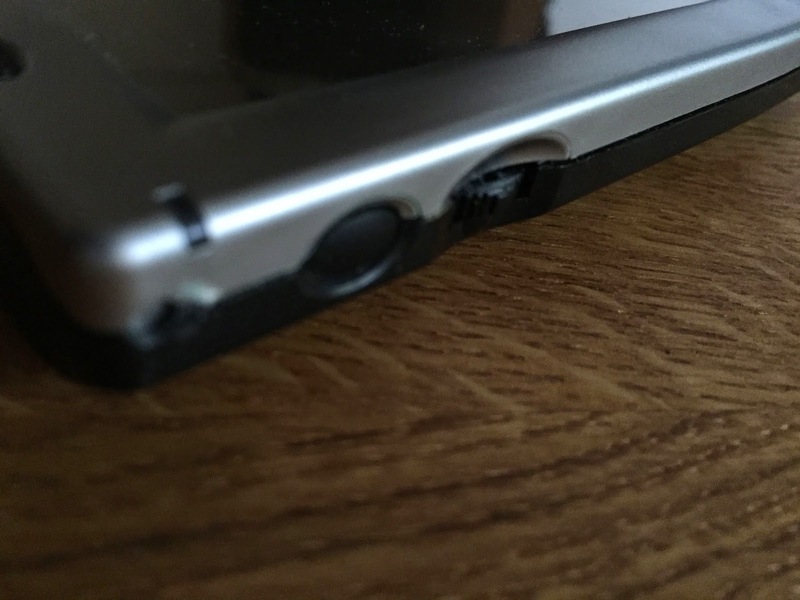 This time you can see the difference in battery casing. The TRG only needs two AAA's and the 330 needs 4! I've no idea why it needs twice as much power. 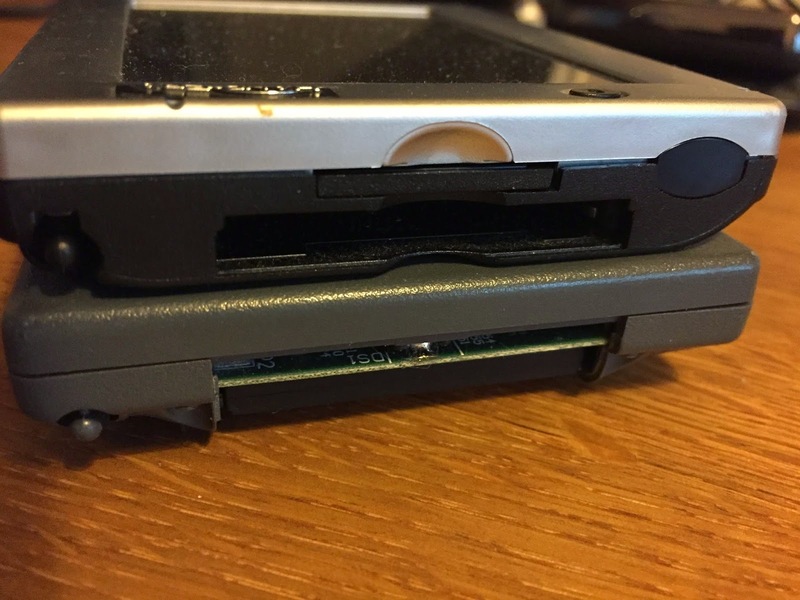 A comparison of the card slots for both the TRG Pro (on the bottom), which has a CF Card slot, and the Handera 330 (top) which has both CF and SD slots. Just a little comparison between the TRG Pro (on the right) and the Handera 330 (on the left). 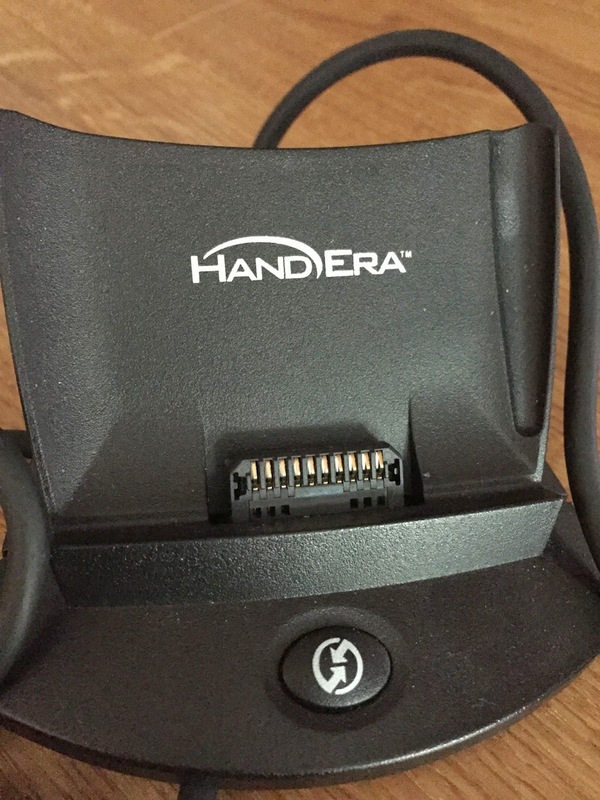 It is actually just a fairly standard Palm device cradle, but it has a nice "Handera" logo on it, so I like it. The 330 was quite unique in that it allowed you to navigate using the side jog wheel, which was very useful for one handed use. 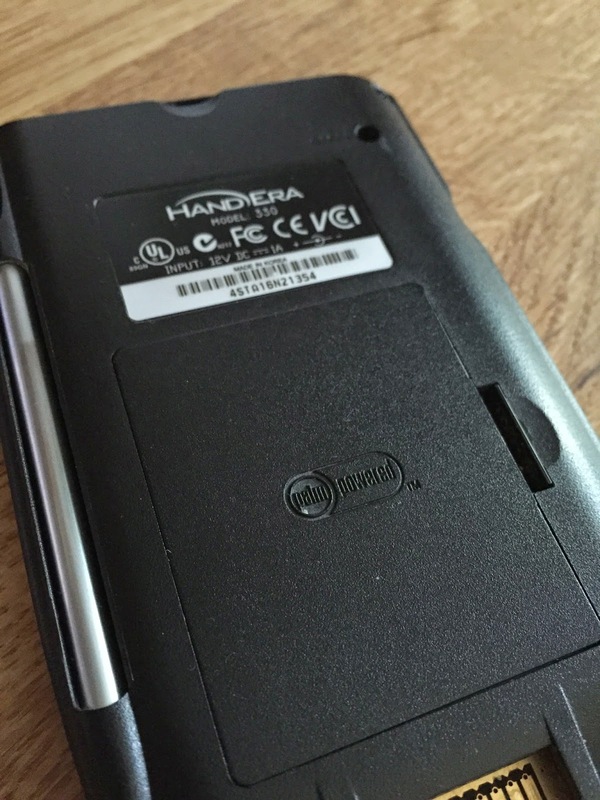 If you know these old PDAs you'll remember that they all take regular batteries, and so does the Handera 330. 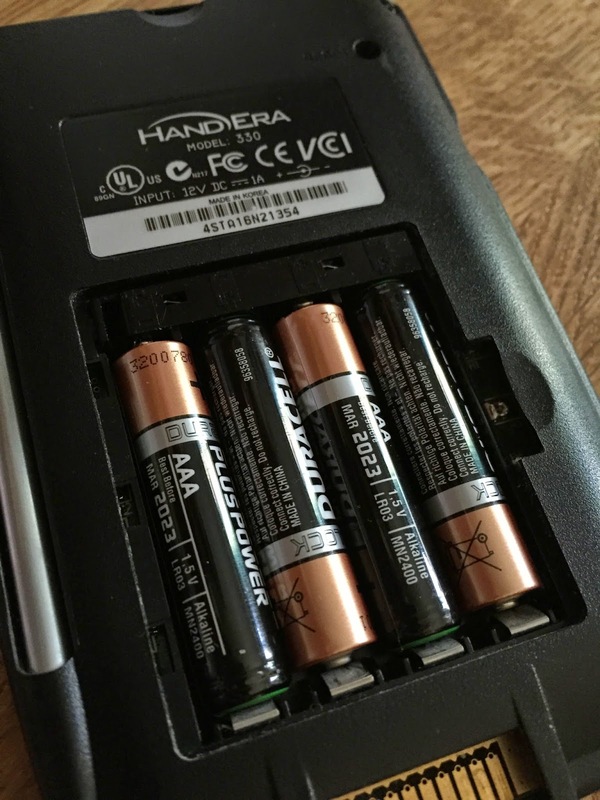 What different with the 330 is that it takes twice as many AAA batteries as any other PDA of its time. Well you can expect to see a lot more of this device of the next week or so. I'm going to be trying out various bits of it and seeing what it can do and how it compares to the TRG Pro as well. 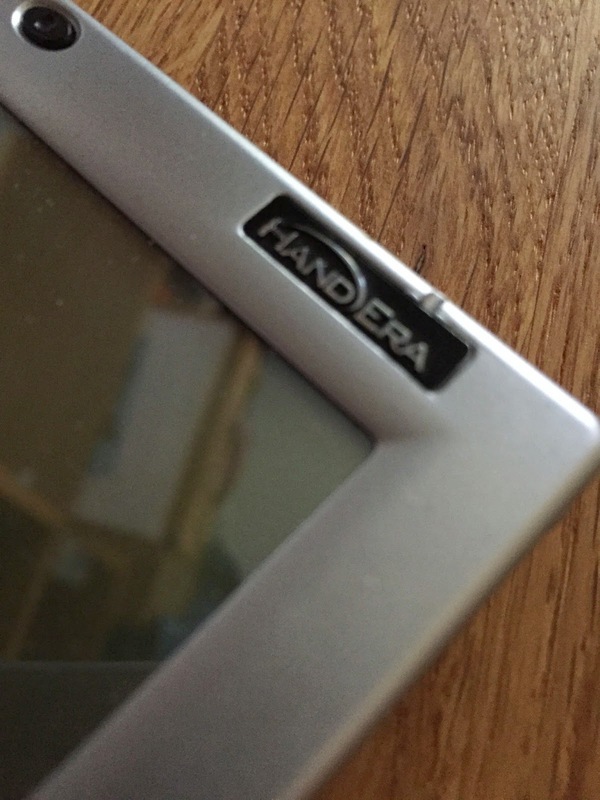 This was an attempt by Palm to capture the budget market for handhelds, but really by 2002 the writing was well and truly starting to appear on the walls for the PDA world and it was too little and really too late. This was a big step forward for the Palm OS in 1996 and it got a lot of people excited back then too. It's easy to think that actually all Palm stuff has vanished off the web. It hasn't there's actually still quite a lot about. One good collection of links is Ron's Obsolete Palm OS Computing Information Page, which has loads of stuff in it. Of course, there are some that don't work, but that's not awful. So, if you are still looking around for bits and pieces of Palm info, you will find stuff. I have to admit that I don't know much about this device, or indeed about the whole Samsung venture into the Palm world. Looking at it from the point of what they're doing now with Android makes it more understandable in many ways though. The Palm Vx was amazing, and in many ways still is. Looking at it from today's perspective it might seem strange to be excited about a 20Mhz processor, but back in 1999 it was a lot of power. These really were amazing. The Sony NX series became the swiss army knife of the Palm PDA world. They weren't perfect, but they were awesome, and the ruled for quite a long time.